Abu Dhabi Ports, the master developer, operator and manager of the emirate's commercial and community ports as well as Khalifa Industrial Zone (Kizad), has received two prestigious awards at the recent Maritime Standards Awards. Maritime Standards Awards is a premiere shipping and maritime awards event which recognises the achievements of the industry’s most outstanding performers across the Middle East and India. The ceremony was held under the patronage of HH Sheikh Ahmed bin Saeed Al Maktoum, president, Dubai Civil Aviation Authority, and chairman and chief executive, Emirates Airline and Group, and hosted by former BBC TV journalist Tim Willcox. • The Port of the Year Award: Abu Dhabi Ports was recognised for making the biggest contribution to the development of port infrastructure according to the highest international standards to serve the Middle East and Indian subcontinent. The port operator was also recognised for its innovative digital solutions for trade and port communities such as Silsal, a blockchain-based solution aimed at streamlining trade flows and supply chains that will soon be piloted internationally. 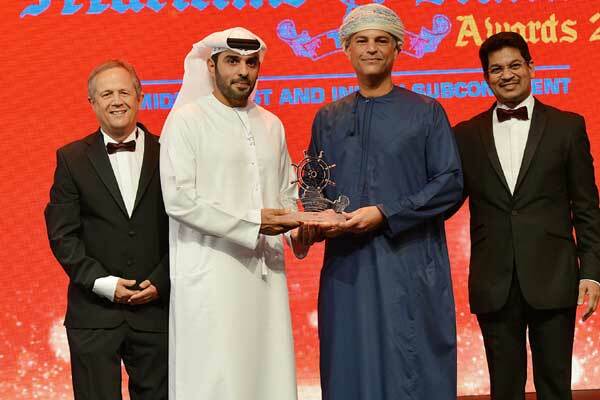 • The Maritime Education & Training Award: The region’s leading maritime education and maritime training provider, Abu Dhabi Maritime Centre, was shortlisted for its contribution to maritime education in the region. “In recent years we have helped Abu Dhabi adapt to the transformation of the global maritime sector, resulting in reduced costs, better management of capacity and improved efficiencies,” he said. “Looking ahead, our focus is to position ourselves at the forefront of disruption by harnessing innovative emerging technologies,” he added. “These awards are a reflection of the hard work and dedication of the team at Abu Dhabi Ports and our subsidiaries as we strive to transform the maritime industry in Abu Dhabi. Our goal is to build resilience in adversity, helping to realise the vision of our Emirate’s Leaders of a strong, diversified, knowledge-driven economy,” Al Shamisi concluded.